Escuela Integrada’s 9th grade class received their diplomas on Thursday, Nov. 9, at Hotel Real Plaza in Antigua. 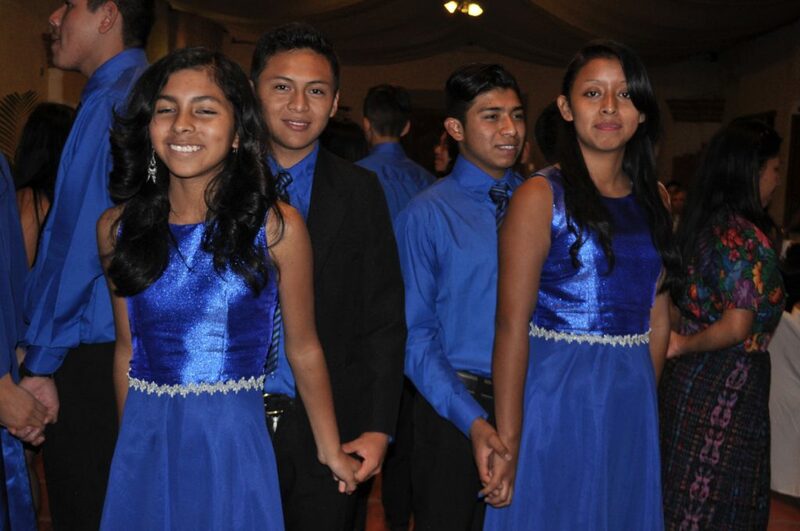 The 9th grade students performed a ballroom dance during the graduation ceremony. This is the first year in the history of the school that all of the students in the class passed their grade and graduated. In previous years, at least one or two students did not pass. The students received two diplomas, one for academic completion and one for an ability in which they excel. Both diplomas, recognized by the Guatemala Ministry of Education, will allow the students to continue their education beyond Escuela Integrada. GRACES board members Paula Bohland, Kevin King, Evelyn Medina, and Keith and Jessica Borg awarded the diplomas for academic completion, and the junior high teachers awarded the diplomas for excellence in abilities. The ceremony included a presentation of the Guatemalan flag, singing the national anthem, the granting of diplomas, speeches from three students and words of advice from Paula Bohland, executive director of GRACES. Bohland encouraged students to persevere even amidst trials in their lives. Students lit smaller candles from a large candle, which represented Escuela Integrada. After the students received their diplomas, they invited their families, teachers and guests to join them in the garden for an appreciation ceremony. 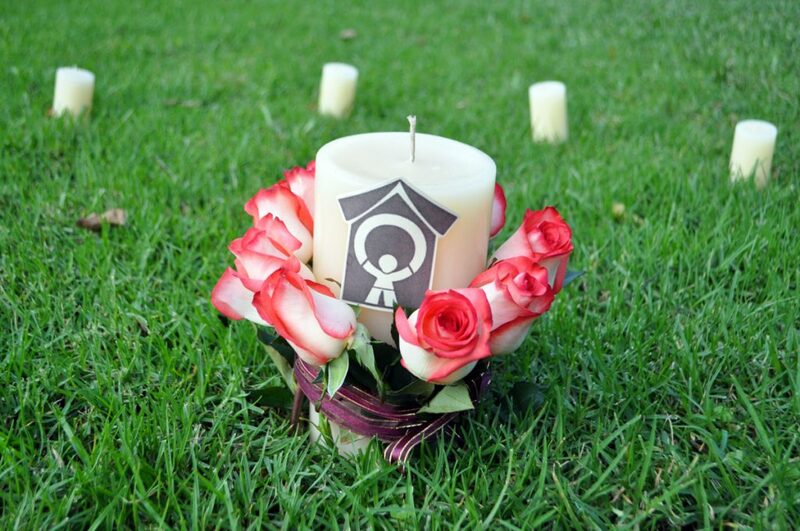 Each student lit a small candle from a large candle, which represented Escuela Integrada. One-by-one the students gave the candles to their families to thank them for their support of their education. “There were many beautiful parts, but, the truth is, the ceremony in the garden with the candles and the gratitude of the children to their parents was very special,” Garcia said. Later in the evening, four students presented a class gift of kitchen supplies to the school. To conclude the formal graduation ceremony, the students performed a ballroom dance. Dinner, dessert and fellowship followed the official program. 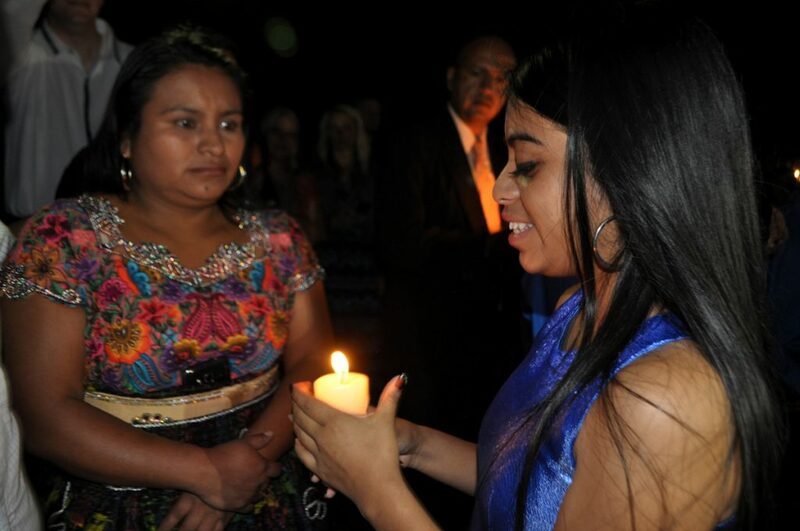 Maria Genoveva presents a candle to her mother during the ceremony in the garden of Hotel Real Plaza. *Donovan was not able to attend the graduation ceremony, so he did not receive a second diploma for a specific ability. He received the academic completion diploma.